You’ll want to give your swaddle blankets and bassinets a break once you’ve set your eyes on MeLuvKush. Inspired by the traditional Indian godhri (godee - derived from the word godhi in Hindu, meaning "in your lap") MeLuvKush is a baby carrier of sorts that envelops newborns in well-designed cushy cotton fabrics and keeps baby snugly warm while cutting down on germs being passed around. 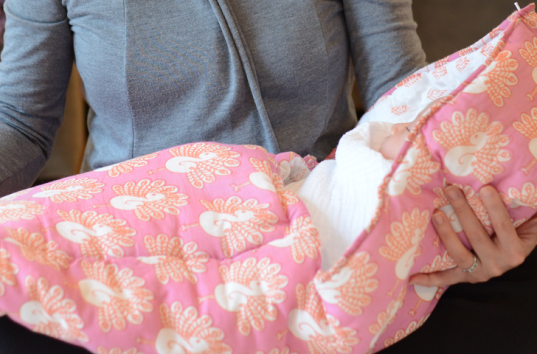 Created by a team of three bicoastal co-founders whose backgrounds stem from South Asia, the carrier features an array of baby-friendly designs in happy colors such as peacock green and elephant blue. MeLuvKush gets its name from Luv and Kush -— the twins of the Hindi god Rama. The name Kush translates into the word “happiness” thus marking the trendy baby sleeper as “I love happiness.” What better way to wrap your little one in a world of sheer bliss? Designs for the carriers are sketched in NYC and then hand stitched in Jaipur—a noted leader of hand-blocked printed textile for centuries. All of the dyes used in their printing process are eco-friendly. Priced at $65 each, colors range from soft yellows to vibrant blues. Grab your own godee available for purchase on their website at MeLuvKush.com. Priced at $65 each, colors range from soft yellows to vibrant blues. Designs for the carriers are sketched in NYC and then hand stitched in Jaipur—a noted leader of hand-blocked printed textile for centuries. Inspired by the traditional Indian godhri (godee), MeLuvKush is a baby carrier of sorts that envelops newborns in well-designed cushy cotton fabrics. Keep baby snugly warm while cutting down on germs as they’re being passed around. Grab your own godee available for purchase on their website at MeLuvKush.com. 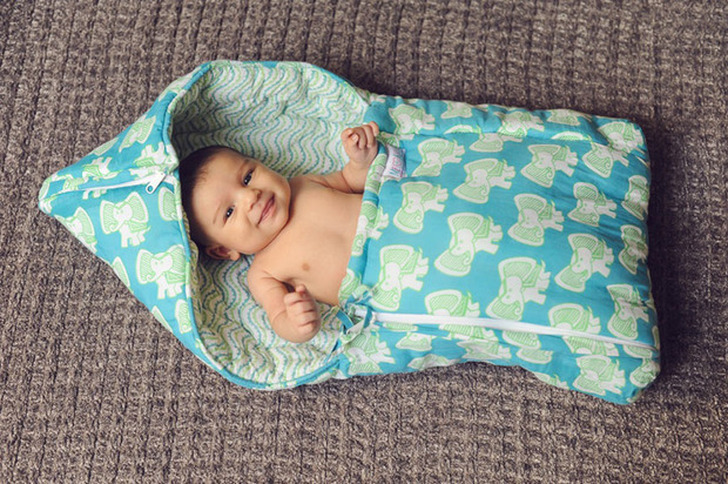 Created by a team of three NYC co-founders whose backgrounds stem from South Asia, the carrier features an array of baby-friendly designs in happy colors such as peacock green and elephant blue.